Macaroons for a Cause is Red Ribbon Bakeshop’s newest pastry offering that lets you enjoy coconut goodness in creamy perfection. 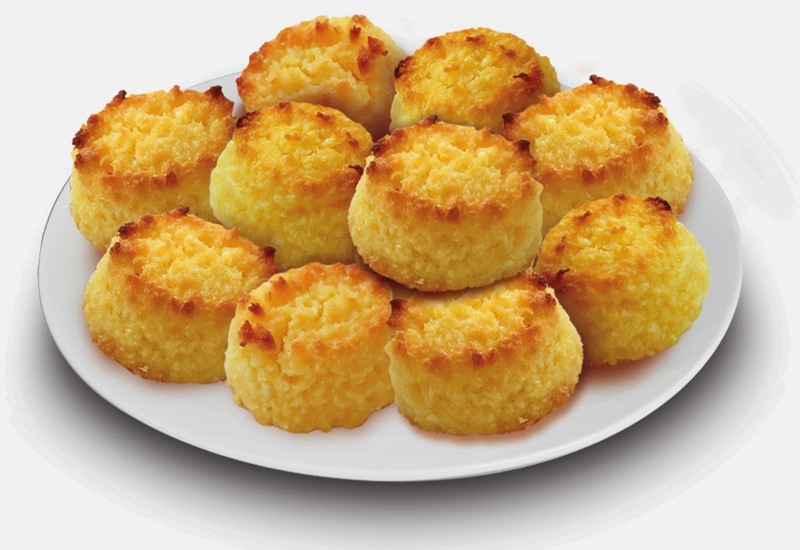 Each pack contains 10 pieces of macaroons and sells for P50.00 at all Red Ribbon Bakeshops nationwide. For every pack of Macaroons For A Cause sold, 14% or P7 will go directly to the Apl.de.Ap Foundation to help build a public high school that will groom students in arts and technology, specifically music. Here's one good news to all of you! 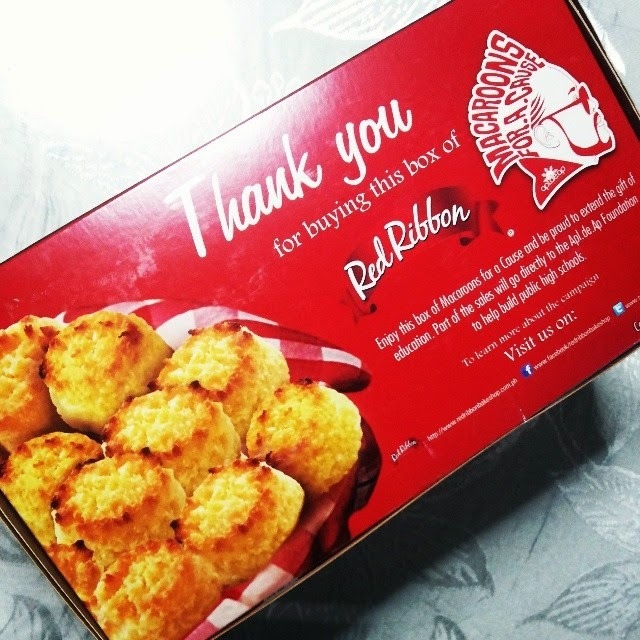 I'm giving away five (5) boxes of Red Ribbon to five (5) winners! Among the five (5) winners, one will be chosen as a grand prize winner and will get a chance to meet and greet an International Star (hint: He's a member of the popular music group Black Eyed Peas!!!)! It's very easy to join and create entries loves! Follow the Rafflecopter Task (Like Red Ribbon on Facebook OR Twitter. You may also POST a PHOTO of your Act of Kindness on Instagram or Facebook, make sure to tag Mommy Practicality and Red Ribbon and also use the hashtags: #redribbon and #macaroonsforacause. I was able to take care of my Lolo the whole day who's alone and sick in their house. I fed him, gave him meds and made him laugh. I also accompanied our maid to the clinic who has been bitten by our dog. I helped a friend look for a job. What Good Were You Able To Do Today? i help my cousin on her preparation for her son christening and i had done a good deed by giving a street children a bread! I was able to finish 80% of my work assignments for the day. Not to mention the extra-curricular tasks that came during the day! I joined a feeding program. It felt really good to see those less fortunate children eating the food we prepared. i help my mom to do the household chores,. i helped my wife to take care of our baby,. Today me and my husband went to buy some groceries. We decided to pick a to go for my Mom who was left at home with our baby. On our way to the tricycle terminal, we saw 3 young girls who's like 6-8yo scanning garbage bags in the pile of garbage bags on that side of the market. I felt that they are hungry and looking for food. We decided to give them the food for my Mom. They were so happy and said : Wow! Salamat po! My heart skipped a bit I think. I was really happy of their smile. Small things somehow makes things better. I felt great. And I want to do it often if I can. Seeing someone smiling because of your lil deed, it is euphoria. i helped my sister to take good care of my niece,. I just joined a feeding program today. i took care of my 2 yo apo because her mom was busy processing her papers so she can work abroad. I made my friends' invitation cards for free - from lay-out, design & printing!! I help my office mate in preparing of some documents she needs. Today I just volunteered to do the cleaning of our subdivision's front gate (removing the weeds and painting the village's signage) for the incoming fiesta celebration. I was able to help my uncle who is suffering from an illness in my own little ways. Like, giving him his daily meds on time, making him food and assist him to the bathroom.